Jackson Hts., New York, February 24, 2015 – We’re a 1/2 candle into the life of our city’s TLD and an appropriate time for an evaluation. But with .nyc’s success metrics undefined, an assessment is challenging. Hoping that we might contribute to a long term analytical framework, we decided to undertake this first review. Fundamentally, there are two competing perspectives on a TLD’s success, the standard and community. The metric used for assessing standard TLDs such as .com, .net, and .org is based on the number of names sold. We honor that tradition by presenting a statistical review. For community TLDs, the “societal” approach we’ve advocated, success comprises a positive impact on the delivery of city services, economic enhancement, and an improved quality of life. We took a first stroke at identifying community metrics on our wiki some time ago. With community enhancements emerging from long term development efforts, an assessment at this early stage is challenging. What we do here is look at some early actions and how they might influence those long term goals. Let’s start with some stats on the number of .nyc domain names sold. Of those, 74.27% or 52,672 were “parked.” A parked domain is one purchased but without any meaningful content (see keys.nyc for an example). Names purchased for speculative purposes might be parked. And with .nyc being a new TLD, many are surely parked while under development. A February 21 Google search using the “site:.nyc” command revealed only 458 websites. (Google reported a total of 940 finds, a number consisting of both primary names and their duplicates.) We’re looking for an explanation for this discrepancy. We looked at the first 100 of those 458 “Site:.nyc” sites and found 40% used the .nyc domain name to present content. The other 60% merely linked to a .com or .org site. In addition to these 72,103 sold names, 21,000 names have been created but not allocated. The unallocated fall into three categories. 800 Reserved Names – Names set aside to serve the public’s benefit. Three fourths of these names are those of neighborhoods or Business Improvement Districts (BIDs), e.g., see 125thstreet.nyc. Included also are some generic and category names, e.g., taxi.nyc, tours.nyc, and digital.nyc, about which we have more to say below. 3,092 Premium Names – These names were set aside for distribution through high-bid auctions, scheduled to begin in early 2015. We’ve advocated for attaching Public Interest Commitments (PICs) to many of these names, believing social and economic equity and a stronger TLD will result. A recent panel report detailed these recommendations. 17,000 Collision Names – The “Collision” names were excluded from allocation pending a review of their impact on the operation of existing networks. Mayor.nyc and our own connecting.nyc are two of the good names stuck in this batch. The vast majority of collision names are of little consequence, but all are expected to become available in mid 2015. While we have some statistics to guide our Traditional Metrics evaluation, doing so for the Community-TLD perspective is a bit more challenging. Early in 2014 Mayor de Blasio announced that it had reserved nearly 400 neighborhood names for development by entities representing the public interest. And it created a path for their allocation – see neighborhoods.nyc. We tested the proposed allocation process recently by encouraging local civic entities to apply for the JacksonHeights.nyc name. We chose Jackson Heights because it represented the home team – we’re based there – and it has a young entrepreneurial population engaged with tech. We concluded that if a suitable application was to be filed for JacksonHeights.nyc, it would best be submitted by a new entity, one having the website as its primary mission. And we concluded that the neighborhood names might best be issued to contracted parties, committed to the principals set out on neighborhoods.nyc, with periodic reviews to establish compliance. A scenario of this sort would require an investment for start up and oversight. The adoption of a resident-focused nexus policy was another positive action by de Blasio. Properly administered and enforced nexus can foster a range of benefits from civic pride to security and economic development. Our review of registrations revealed some questionable registrant addresses and we look forward to the initiation of planned random audits and for a public reporting of results. A key sign of community success will arrive when .nyc names are being used to create new civic and business connections. Over the last several months we’ve sought to understand who is registering the domain names. Are names being registered to make new connections and new markets? Are New Yorkers shifting their registrations to .nyc from .com, .net, .org and other foreign TLDs? While we await a sophisticated analysis, an associate has reviewed the daily log of new registrants. The dominant impression is that registrations are largely for generic names, as opposed to those of existing businesses. Looked at in concert with the high rate of parked names, this might indicate a multitude of speculative purchases. But one might see a positive side to this: the names of existing businesses are apparently not being squatted upon and remain available. One of the key benefits we foresaw for New Yorkers and visitors alike was an intuitive Internet where our everyday language would be our guide. Using the Commissioners’ Plan of 1811 as inspiration, we advanced the model of viewing .nyc as a digital grid where ease-of-use and clarity would result from the thoughtful allocation of names – bikes.nyc, bakeries.nyc, drugstores.nyc, schools.nyc, etc. But the city opted for the speed and simplicity of a Land Rush distribution process (first-come first-served), which released thousands of intuitive names for unknown uses. The results are trickling in. Today, New Yorkers typing hardwarestores.nyc will be presented with the services offered by a single locksmith, not an organized presentation of the desired stores. They’ll need to sift through Google’s global results to locate their local hardware store. The local hardware store will need to pay Google if it hopes to be found there. And a job will not be created for the local operator of hardwarestores.nyc. It’s a lose-lose-lose situation for New York. But there’s still an opportunity to foster an intuitive .nyc, where language holds its traditional meaning. Within the 21,000 unallocated Reserved, Premium, and Collision names the city can identify widely understood names (words would be a better descriptive) and require Public Interest Commitments (see our recommendations) by the developers of these domain names. 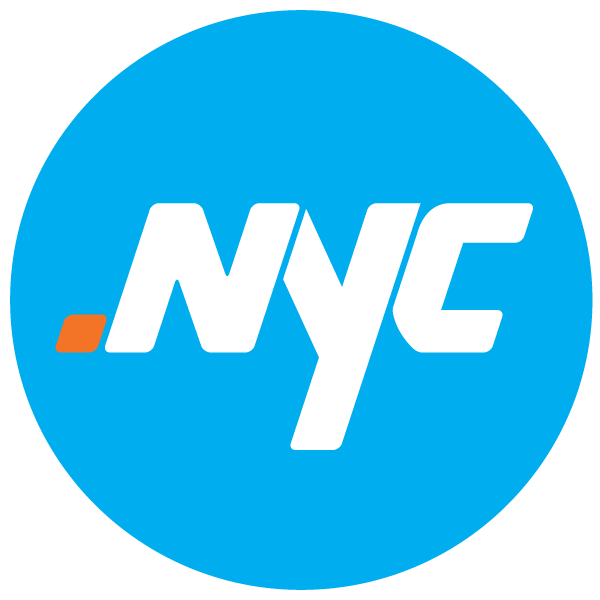 If .nyc is to gain a reputation as a reliable and useful TLD – where people are confident that typing a domain name will deliver the desired result, names like pizza.nyc and hotels.nyc can’t simply market traditional brands. That is, pizza.nyc can’t lead to Pizza Hut and hotels.nyc can’t provide the choice of all the city’s Hilton Hotels. This will be the likely consequence if a high bid auction determiners development rights. For .nyc to succeed these domain names need to aide residents and visitors alike in learning about the history, variety, and depth of our pizza and hospitality industries. This can only be achieved via contractual Public Interest Commitments. Additionally, Mayor de Blasio can select a few of the unallocated names and provide those on the other side of the digital divide with the opportunity to apply their entrepreneurial talents to developing the .nyc TLD. Since 2009, when the city announced its intent to acquire .nyc, there have been few meaningful opportunities for public engagement in .nyc’s planning and oversight process. Access was virtually nonexistent during the Bloomberg years. Initially the de Blasio Administration was more receptive to public engagement, indeed, during 2014 a .NYC Community Advisory Board met on a monthly basis, with two from our organization appointed as members. However, when that Board ceased operating in December, public access to the oversight process ceased. Digital.NYC is the official online hub of the New York City startup and technology ecosystem, bringing together every company, startup, investor, event, job, class, blog, video, workspace, accelerator, incubator, resource and organization in the five boroughs. It is the result of a unique public/private partnership between the office of Mayor Bill de Blasio, the New York City Economic Development Corporation, IBM, Gust, and over a dozen leading NYC-based technology and media companies. Curious, we reviewed the Reserved Names and found digital.nyc listed. Not having been privy to this development while on the Advisory Board, we wondered about the process by which they had obtained the domain name. With this in mind we recalled a recent conversation predicting that fashion.nyc would be developed in a similar manner to digital.nyc. Some research revealed fashion.nyc to be on the Premium Names list and as having been registered to Neustar, the contractor overseeing .nyc’s marketing and operation, last week. Without transparency and a governance process, people may begin to think the city’s TLD is being operated out of cigar box, or worse. And with public trust central to its becoming a grid for our digital resources, such perceptions can be highly detrimental. City Hall needs to add transparency and accountability to the operation of the .nyc TLD. And it needs a representative and accessible governance process that informs the public about how allocation decisions are made, for what purpose, and by whom. And we need a process and timetable for evaluating these allocations of the public’s resources. Soap Box: Our view is that a thoughtfully developed TLD provides the infrastructure for a secure local Internet. That upon that base one can build privacy, identity, and community. And that these will speed economic growth and the creation of a more prosperous and livable city. This review turned out to be far longer than we anticipated. Those who’ve stuck with it to the end get 7 .nyc treats. Enjoy. Archives.nyc – This site shows city information presented in an esthetically pleasing manner. Congratulations to the Municipal Archives. MurdersIn.nyc – If we were giving awards this one would get the Bagel for creative use of a .nyc domain name. Greenestreet.nyc – A wonderful presentation of the 400 year history of one small section of a city street. But we do have some qualms about ownership of this resource as detailed here. Straphangers.nyc – We love this organization and as one might expect its an early occupant of the .nyc domain. Visualizing.nyc – Be patient while this one loads. For map lovers. Mammamia.nyc – Broadway’s first play to make it to the big time. Prty.nyc – Dancing like you’ve never seen it before.